Millions of Americans suffer from anxiety disorders and other conditions that are commonly treated through the prescription use of benzodiazepines. Some of the most common drugs in this category include Xanax, Ativan, and Valium. As with most all medications, there are pros and cons to these drugs, and in many cases, the downsides of continued use may outweigh the benefits. Benzodiazepines are a class of drugs that are prescribed for anxiety relief, muscle relaxation, insomnia, seizures, and alcohol withdrawal symptoms. Some of the most common drugs in this category include Xanax, Ativan and Valium. These drugs enhance the action of the neurotransmitter GABA, and have a psychoactive component that can affect emotional reactions, memory, thinking, control of consciousness, muscle tone and coordination. These drugs are typically intended for relatively short-period use (four months or less), as long term use has been shown to create physical and psychological addictions and severe withdrawal symptoms. Yet despite these concerns, studies indicate that a significant number of users are prescribed benzodiazepines for long-term use. The proportion of long-term benzodiazepine use increased with age from 14.7% (18-35 years) to 31.4% (65-80 years). Cognitive impairment: Benzodiazepines cause acute adverse effects including drowsiness, increased reaction time, ataxia, motor incoordination and anterograde amnesia. Motor vehicle crashes: The risk of driving while on benzodiazepines is about the same as the risk of driving with a blood alcohol level between 0.050% and 0.079%. Hip fracture: Benzodiazepines increase the risk of hip fracture in older persons by at least 50%. Additionally, a meta-analysis of studies looking at withdrawal from an average of 17mg per day of diazepam (Valium) found that long-term use led to substantial cognitive decline that did not resolve three months after discontinuation. Other issues associated with benzodiazepine withdrawal include sleep disturbances and rebound insomnia, restlessness, irritability, elevated anxiety, blurred vision, panic attacks and tremors. Benzodiazepines may also exacerbate opioid abuse. 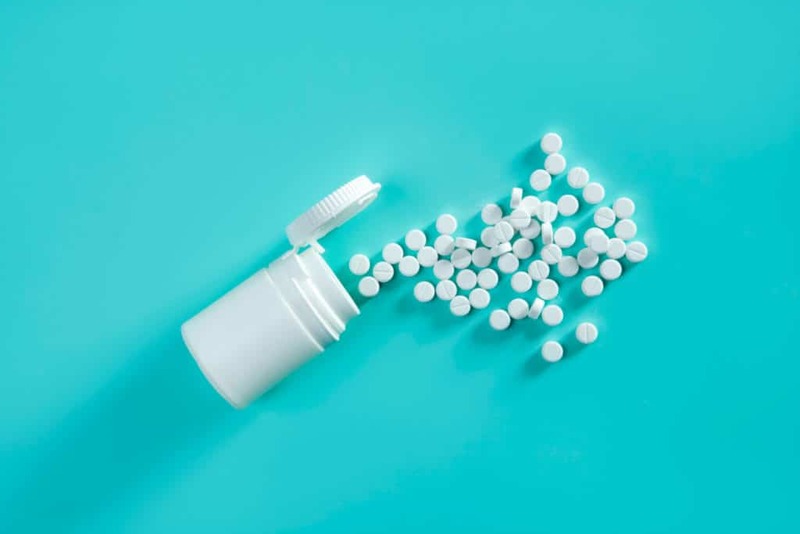 According to a study of Canadians who died of an opioid-related cause, benzodiazepine consumption significantly increased the risk of opioid overdose. Despite cautions concerning risks associated with long-term benzodiazepine use, especially in older patients, long-term benzodiazepine use remains common in this age group. Because there is an increasing body of evidence to suggest that medical marijuana may be beneficial in the treatment of anxiety disorders, muscle relaxation and essential tremors, it seems logical to infer that medical cannabis might provide a natural alternative to the use of benzodiazepines. There is a considerable body of anecdotal evidence to support this assumption, and a new study published in January 2019 by Cannabis and Cannabinoid Research adds more objective facts that support the potential benefits of medical marijuana as an alternative to benzodiazepines. The report looked at 146 medical marijuana patients who were taking some form of benzodiazepine at the beginning of the study. The mean age of participants was 47.7 years with a standard deviation of 12.7 years. Prior use of marijuana was self-reported by 54% of patients. A total of 97.6% of patients were not currently using other recreational drugs and 73.3% had never used recreational drugs that were not cannabis. Concurrent alcohol and cigarette use was reported in 41.4% and 30.8% of patients, respectively. Reported primary conditions driving cannabinoid treatment were grouped into neurological (7.5%), pain (47.9%), psychiatric conditions (31.9%), and other (12.7%). Descriptive statistics were used to quantify associations of the proportion of benzodiazepine use with time on medical marijuana therapy. After completing an average two-month prescription course of medical marijuana, 30.1% of patients had discontinued benzodiazepines. At a follow-up after two prescriptions, 65 total patients (44.5%) had discontinued benzodiazepines. At the final follow-up period after three medical marijuana prescription courses, 66 total patients (45.2%) had discontinued benzodiazepine use, showing a stable cessation rate over an average of 6 months. These patients, following prescription cannabis use, also reported decreased daily distress due to medical conditions. This observation merits further investigation into the risks and benefits of the therapeutic use of medical cannabis and its role relating to benzodiazepine use. Medical cannabis remains a controversial but potentially effective treatment for patients suffering from a variety of medical conditions. Within a cohort of patients initiated on medical cannabis therapy, a large proportion successfully discontinued their pre-existing benzodiazepine therapy. This study therefore supports the continued research of medical cannabis and urges further exploration into its therapeutic value. If you currently suffer from anxiety, CannaMD is here to help! Find out if you qualify for medical marijuana treatment today by completing a quick application or calling 1 (855) 420-9170. Wondering how the whole process works from start to finish? Download our free e-book: Medical Marijuana Basics. We’re committed to providing compassionate care to Florida residents and are here to help whenever you need us! This!!! This is the reason I got my MMC. I want to get OFF the benzo I’ve been taking for the last 10+ years. I’ve been using a 50/50 low THC 1:1 hybrid vape and it’s worked out pretty well so far. I’ve been able to cut my morning and evening pill in half, so far with no negative withdraw symptoms and hope to be completely free of them within the next 6 months. That’s so incredible to hear! Thank you so much for sharing your story! I WOULD LIKE TO SEE WHAT TYPE OF MARIJUANA THESE PEOPLE WERE CONSUMING TO HELP THEM GET OFF OF THE BENZO”S???????? WAS IT INDICA, WHAT KIND? WHAT IS HYBRID WHAT KIND???? WAS IT SUSTIVA, WHAT KIND?????? I GUESS I WOULD LIKE TO SEE IN A STUDY WHAT KIND OF PHARMACEUTICALS PEOPLE ARE TAKING, AND THEN WHAT KIND OF CANNABIS PRODUCT THEY USE TO OBTAIN THESE WONDERFUL EFFECTS. Hi, Greg! Scientists still have a lot to uncover, but we do have some more details regarding THC/CBD ratios in another one of our anxiety posts, available here 🙂 The full benzo study is available here (although it doesn’t address specific strains). Will keep you posted as more studies come out! !